Shaun Murphy vs Ali Carter – Dafabet Masters 2018, Round 1, Frame 1. It was only the first frame of the match and it was as tense as it could be. One of the finest frame steals in snooker. Ali Carter was leading by 29 points with just the colors left in the opening frame but failed to escape from a tough snooker on the yellow, allowing Murphy to steal the frame. 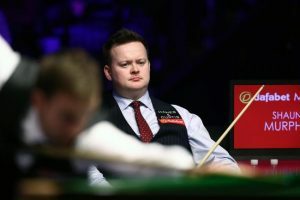 The Magician Shaun Murphy came through a tough tactical battle against The Captain Ali Carter at the 2018 Dafabet Masters, winning 6-4. Murphy saw an early 4-0 advantage reduced to just a one frame lead at 5-4 as Carter fought back, but he made an excellent break in frame ten to secure victory. This is a sport that requires the highest level of practice, accuracy, patience, determination, and positivity that can be imagined. This is snooker and we are the Snooker Freaks!